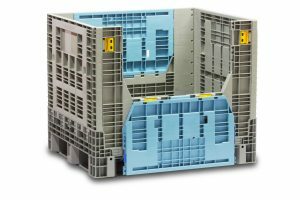 SSI SCHAEFER has a variety of containers for use in the agriculture industry. From handheld containers to bulk containers, you’ll find that SSI SCHAEFER packaging products withstand the rugged terrain that accompanies agriculture applications. 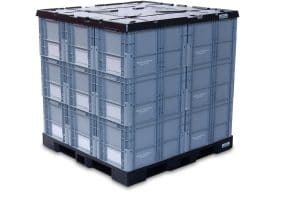 The GlobalStac® bulk container is perfect for large volumes of produce. Furthermore, GlobalStac is collapsible so it can easily go from harvest to retailer. The collapsible design makes product availability easy for consumers to reach as product stock depletes. 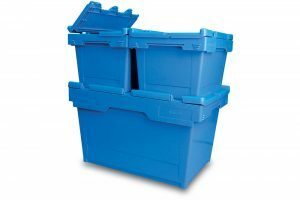 Once GlobalStac is empty, simply have the container collapsed and returned for next year’s harvest. DURABLE HANDHELD STACK N’ NEST REUSABLE CONTAINERS ARE GREAT FOR SMALL PRODUCE. 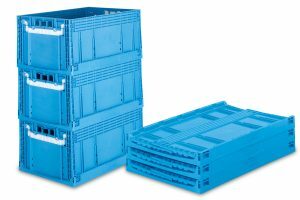 EASY HANDLING WITH MOLD-IN GRIPS MAKE A GREAT CHOICE FOR TRANSPORTING BULK PRODUCE. Please complete the form below and a representative will respond promptly.